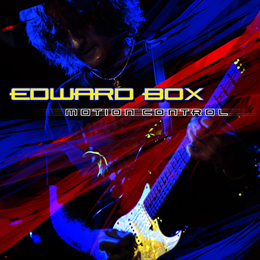 Edward Box is a UK guitarist, whom you probably know from his work with Vendetta, who have so far released 3 albums on Lion Music. It’s clear that he’s a prolific guitar player, because you get to hear some parts which could as well have been played by Joe Satriani, whilst other parts remind you of George Lynch but the list goes on. This album clocks of at 21 songs in total, with a variety of styles. And while each of the tracks probably is a gem, 21 songs is too much of the same to me. I’m not that much into completely instrumental albums, as you may well know from previous reviews. Fans of this genre, and fans of guitar themed songs might like this however.